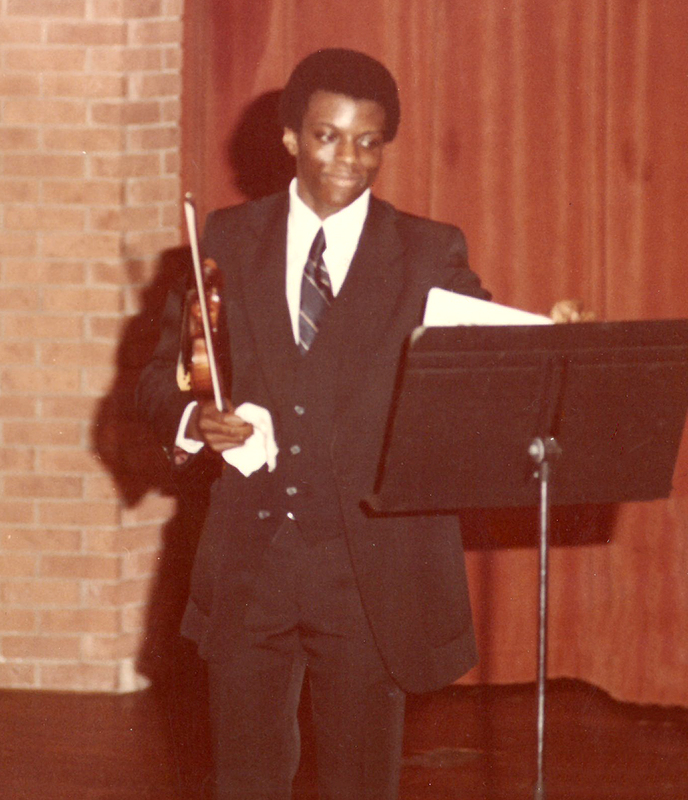 Terrance Malone Gray is CYSO’s longest serving staff member, having been Associate Conductor for more than 20 years. 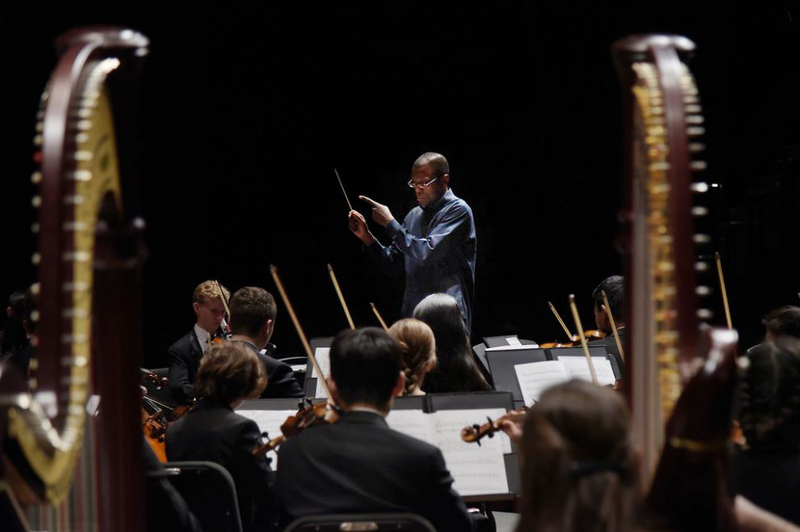 For most of his tenure, Gray led our Debut and Concert Orchestras, but with the creation of Philharmonic Orchestra last fall, Maestro Gray now leads this advanced orchestra made up of primarily high school students. In addition to his work at CYSO, Maestro Gray conducts throughout Chicago, leading the orchestra at ChiArts and working with The People’s Music School. As if that weren’t enough, he still performs professionally on the violin, an instrument Gray first picked up at 9 years old. 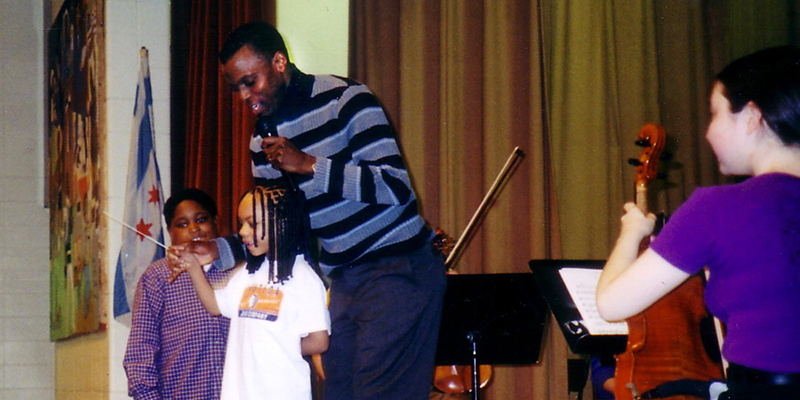 We spoke with Maestro Gray about his background and what he loves about CYSO. Did you always know you wanted to lead an orchestra? What was your career path to get here? For much of my growing up I wanted to play full-time in a professional orchestra, hopefully on the level of the Chicago Symphony Orchestra. Good fortunes appeared in my life and presented opportunities for me to be on the podium and learn how to be a conductor. I feel very lucky to have had these opportunities that have led me to be a part of the CYSO family. When you aren’t conducting, what is your primary instrument? My primary instrument is the violin which I still play professionally. What’s the best advice you received when you were learning to play? One of the greatest bits of advice that was impacted to me is that you need to practice slowly and intelligently. Meaning that if you practice slow enough when you begin studying a new piece so that you play in tune, on time, with the correct articulation and musical line you won’t need to spend your time correcting mistakes. What is one of your favorite CYSO memories? I think my favorite CYSO memory changes constantly. I enjoy every week of rehearsal with the kids, my interaction with the other members of the wonderful CYSO staff, the opportunity to present our work in performances throughout the year. I guess I need to change the question a little and answer that my favorite thing is the opportunity to be a part of this fantastic organization. What advice would you give CYSO students, or young people thinking of auditioning for CYSO? Try to enjoy the preparation process and let that show during your audition. If you weren’t a conductor, what career would you want to try? I always thought it would very interesting to be a judge. Thank you to Maestro Gray for sharing your thoughts! Read more interviews from our blog.